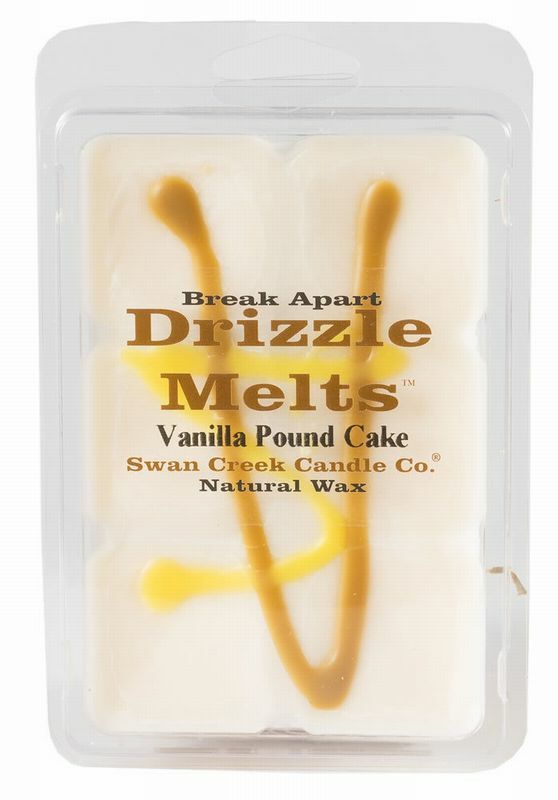 Swan Creek drizzle melts - Vanilla Pound Cake. Includes 6 separate break apart cubes. Each package is 4.75 oz and includes 6 separate break apart cubes that each last 20-25 hours.